From September 2012 through May 2013, I lived and worked in the southern Spanish province of Jaén. Pronounced “khah-EN” [xaˈen] with a throaty J, this wedge of land about the size of Connecticut takes up the northeastern corner of the region of Andalucía, which is famous for its flamenco music, its extroverted culture, and its inscrutable accent. To get you oriented a little bit, Jaén is strategically located about two hours east of Córdoba and two hours north of Granada; the whole province sits at the crossroads of many routes that connect Andalucía with the rest of the country. Despite its central location, Jaén is almost never mentioned in classic itineraries of the region, getting passed over in favor of cosmopolitan Sevilla or sunny Málaga. I was initially disappointed when I learned I had been assigned to teach English at an elementary school in a rural corner of this province, as I had requested to work in next-door Córdoba. As I spent the school year in the mid-sized city of Úbeda, though, I slowly warmed up to the area and came to realize what a hidden gem Jaén really is. I’ve put together this static page to bring together all of the blog posts I’ve written over the past two years about Jaén, to serve as both a reference and a point of inspiration for anyone curious about this unique part of Spain. Jaén’s main claim to fame is its remarkable collection of Renaissance-style buildings, an anomaly in a region famous for its Moorish architecture. In Úbeda where I lived, for example, local son Francisco de los Cobos became Secretary of State to King Carlos I in 1516, and was able to direct funds to beautify the backwater village into an Italianate pearl. Nearby towns like Sabiote and Canena gained castles and palaces as Cobos’ influence spread. Spanish architect Andrés de Vandelvira was the main man responsible for designing a large part of the monumental works in Úbeda and elsewhere in the province. Without him, it’s hard to say whether the Italian Renaissance would have ever come to southern Spain! 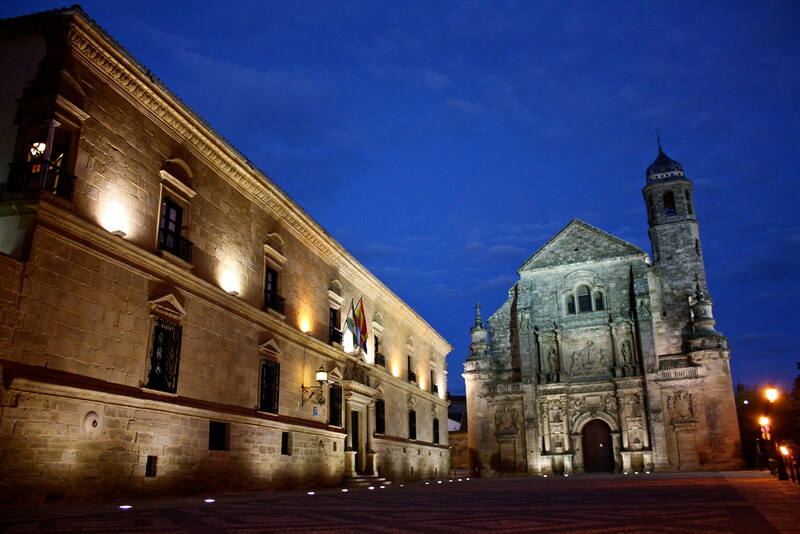 By the 21st century, Úbeda’s outstanding architecture had been recognized by UNESCO, which named it and neighboring Baeza a World Heritage Site in 2003. 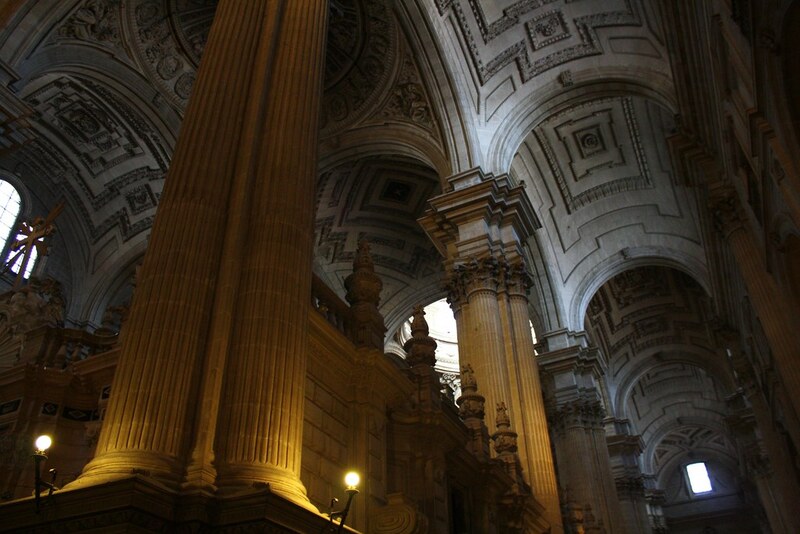 A petition is currently underway to add the soaring cathedral in Jaén capital to the list. If you’re a fan of castles, then the province of Jaén is just for you; in fact, it has the greatest concentration of fortresses and castles of any region in Europe. Due to its strategic location as the frontier between Christian Castilla and Muslim Granada in the Middle Ages, almost 90 castles in this province alone have been preserved down to the present day. When I lived in Úbeda, I only had the chance to visit half a dozen of the myriad of castles this province holds. Most are within walking distance of major city or village centers, but a few are in isolated mountain towns that are difficult to get to without cars. Still, public buses can take you from major hubs like Jaén, Úbeda, or Linares to most of the pueblos that are proud of their castles to this day. For amazing views of the city of Jaén and the olive-grove-studded countryside, hike up the imposing Santa Catalina Hill to the castle of the same name, or if the mountains are calling your name, hop over to Cazorla for the hilltop fortress called the Castle of La Yedra. 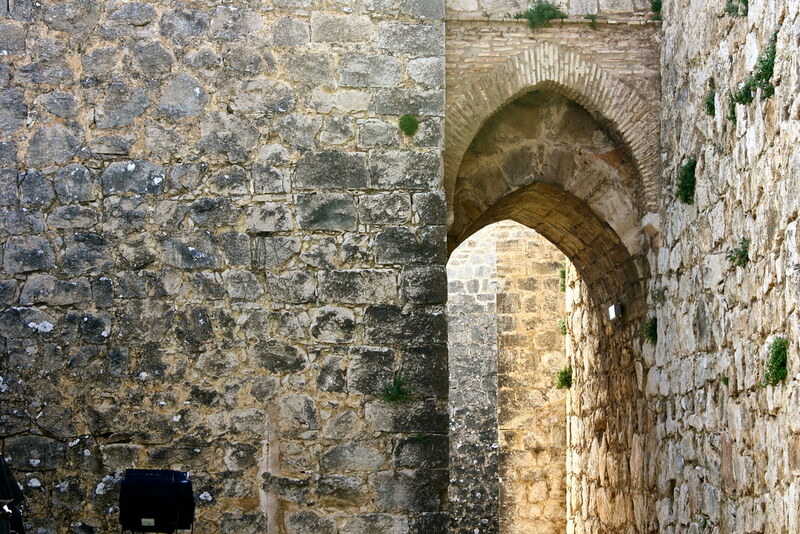 You can find one of the oldest fortifications in Spain in Baños de la Encina—the Castle of Burgalimar, a Moorish stronghold, dates back to the Caliphate of Córdoba. 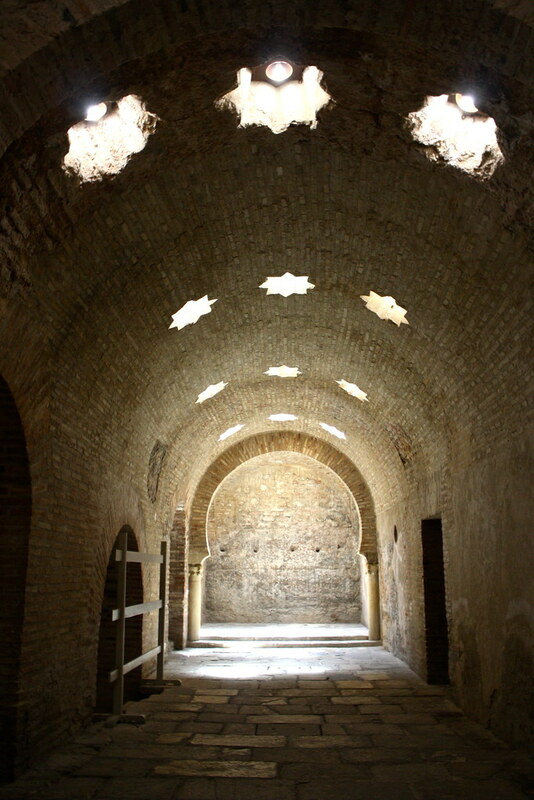 And Sabiote, right outside Úbeda, has recently restored a large, Renaissance-era palace-castle. 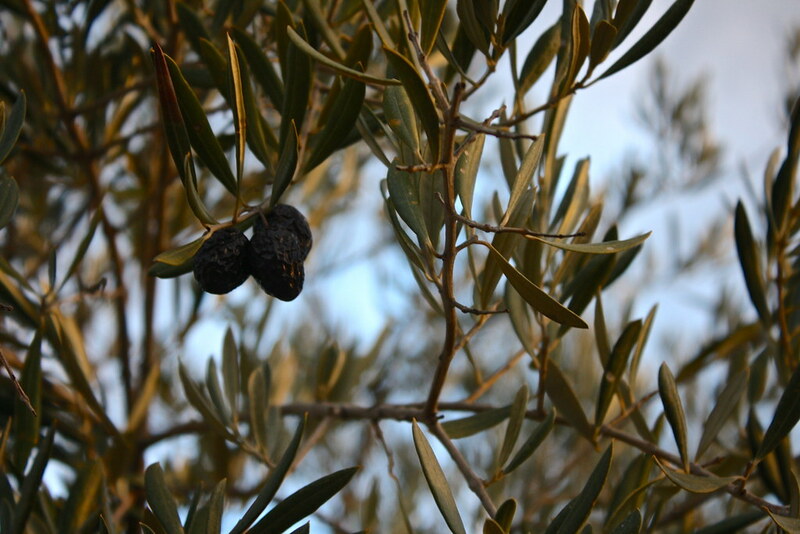 The olives harvested from Jaén province’s extensive olive groves produce half of Andalucía’s yearly output of olive oil, a third of Spain’s, and a tenth of the world’s. Quantity doesn’t always mean quality, but here it definitely does, as the province is home to five denominaciones de origen or protected regional varieties of olive oil. One spans the central Guadalquivir river plain and the other four cover the various mountain ranges on the periphery. Looking out the bus window on a local highway, you’ll soon learn that olive groves cover almost every square inch of non-residential land in these parts. When eating at restaurants, you’ll most likely be given a free tapa of marinated olives in addition to the standard tapa you receive with your drink; if not, make sure to request a little bowl of them, as every place has their own marinade. A handsome glass bottle of extra-virgin olive oil makes a unique souvenir, but if you’re worried about the glass breaking, grocery stores often sell the exact same oil in sturdier aluminum tins. While the western half of Andalucía—think Sevilla, Cádiz, Córdoba, Málaga—won’t give you anything except your drink when you order it, here out east you can expect to receive a tapa: a little plate of something to nibble on while you catch up with friends or soak up the sun on the terrace. Yes, you read that correctly—FREE food with your drink, anything from several slices of Iberian cured ham with crackers to half a baked potato with garlicky ali-oli sauce and even a bowl of spicy, slow-cooked snails if you visit in the spring. Although not as refined as the cuisine of Catalunya, or as delicious as that of Galicia, the food you can find in Jaén is hearty and filling. I recommend trying lomo de orza (pork loin confit), andrajos (meat & noodle stew), migas (fried breadcrumbs), ochíos (orange bread rolls), and morcilla en caldera (blood sausage pâté). Read more in my blog post about the food I miss most from the province. If you do end up visiting Úbeda, I’ve also written up a post about the best places to eat in town. The rain in Spain falls mainly in the plain (actually that’s not true at all, see: Galicia), but there’s more to Spain than the flat fields of Castilla. Jaén is bordered on three sides by mountain ranges: the Sierra Morena to the north, the Sierras de Cazorla, Segura, y Las Villas in the east, and the Sierra Mágina to the south. The best place for hiking and exploring mountain villages is the eastern ranges, where you can check out Hornos de Segura and Segura de la Sierra, both of which have delicious, filling food, medieval castles, and stunning views of the mountains. 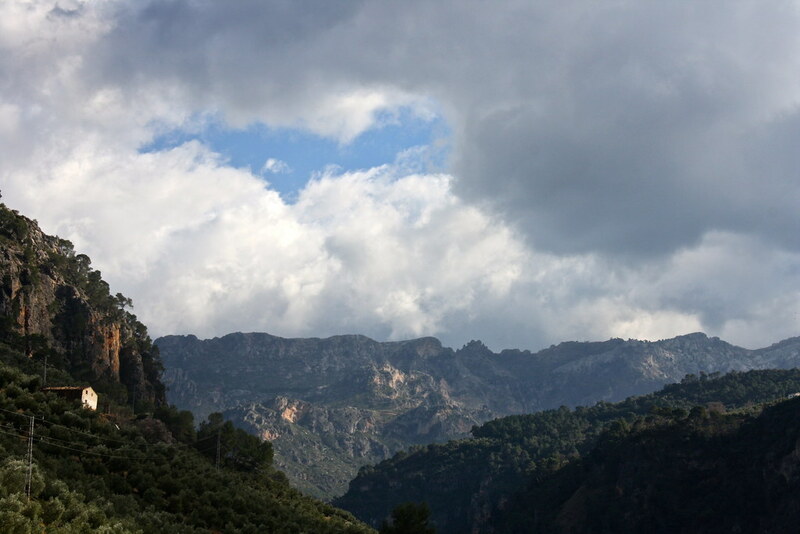 Beyond the olive groves and fields of almond trees that grow in the valleys, the town of Cazorla is not to be missed. Set right up against the foothills of the mountain range of the same name, this cozy place has a castle (I think we’re seeing a trend here…), the ruins of a huge Renaissance-era church, and even a tunnel they diverted a river into in the 1500s. Whoa. Two train lines pass through the province, but they’re not very useful for traveling within Jaén. 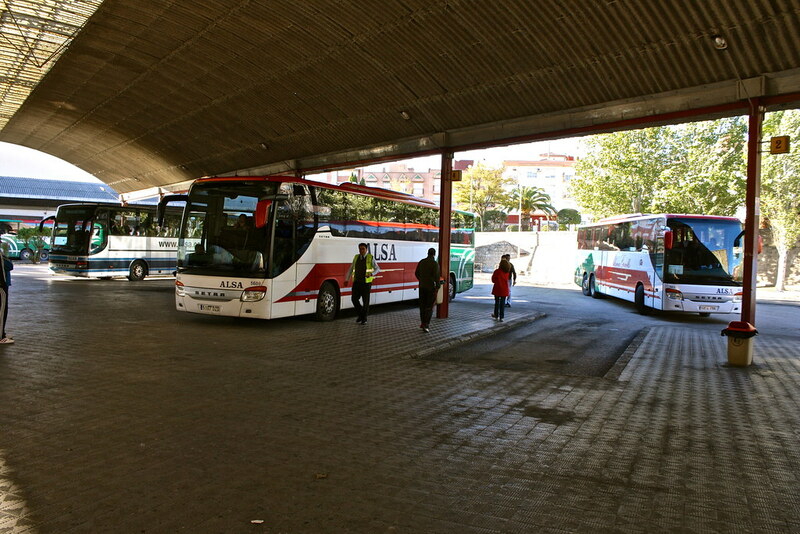 Linares-Baeza receives a lot of long-distance trains, but you have to take a bus just to get to the isolated station, and trains from the station in Jaén capital only go to Madrid and Cádiz. Your best bet is to take the bus, but no worries, as there are tons of routes and companies that can take you to almost every municipality in the province, and on the cheap, too. Start with the company ALSA (which also runs under the brand Alsina Graells), and if you don’t have luck with their website, do a Google search of “[origin] [destination] autobuses” or “estación de autobuses [city]” and see what comes up. Sometimes you can buy your tickets at the counter in the station, but a lot of times you simply pay the driver as you board the bus. Don’t forget to ask when the bus goes back to your point of departure, or you might get stuck in the middle of nowhere! Regardless of how long you decide to stay in Jaén, I recommend making central Úbeda your base camp, as it’s more manageable than the capital and also a regional bus hub. A typical Day One might involve exploring Úbeda in the morning: its churches, palaces, and museums. After lunch, catch the bus to twin-sister Baeza and spend the afternoon checking out the cathedral and the town’s charming alleyways. Make sure to go out for tapas before you catch the late-night bus back to Úbeda. Your second day in the province could take you an hour southwest down to Jaén proper, the provincial capital. After waking up with a café con leche and toast with tomato and olive oil, admire the monumental Renaissance-era cathedral and then hike up the hill to take in the views from the medieval castle. Back down at ground level, get lost in the quiet, winding La Merced neighborhood. Once you’re found again, have lunch in the taverns of the old town, some of which date back to the 1800s. In the afternoon, cool off in the Arab Baths, the best-preserved in Spain. On your way out of town, stop by the provincial museum for your local art and archaeology fix. The mountains to the east merit a third day all to their own. If you have a car, drive out to the Sierra de Segura and stop off in the castle-topped villages of Hornos de Segura and Sierra de la Segura, eating up hearty mountain fare in each. If you’re relying on public transporation, you can take the bus down to Cazorla and explore this inviting little town, making hikes over to tiny La Iruela or into the Cazorla mountains themselves if you’ve got itchy feet. 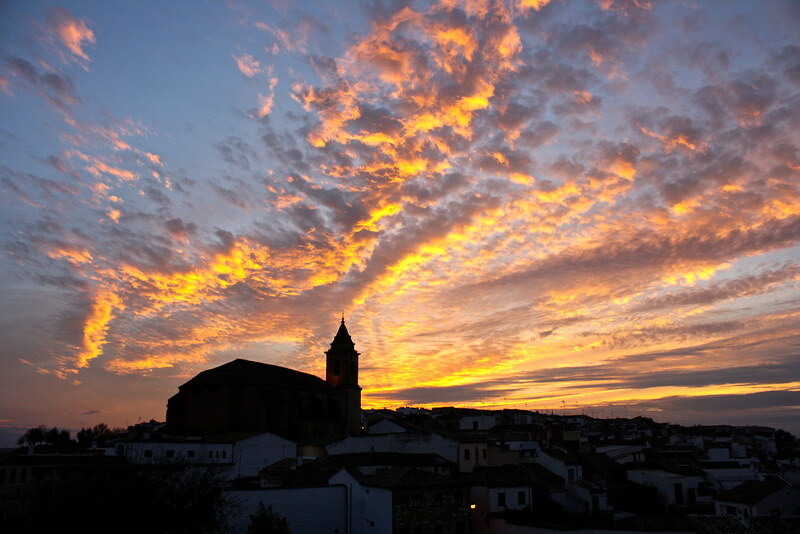 Back in Úbeda, head out to the old city walls and watch the sun set over the olive groves. Have you ever heard of the province of Jaén before? What on this appeals to you the most? Would you consider stopping off in the area the next time you’re in Andalucía? Tell me your thoughts in the discussion below—and if you have any questions, fire anyway!